WE CAN REALLY POUR IT ON. 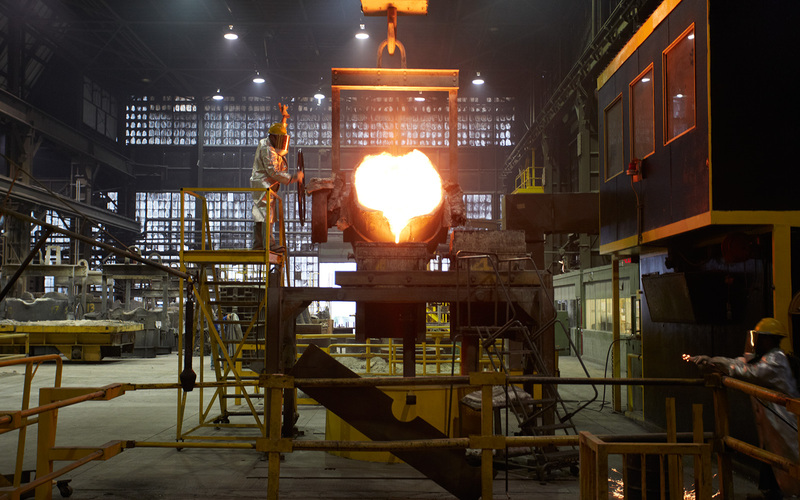 WHEMCO’s foundries produce heats for several product lines including: ingots, cast rolls, slag pots, coiler drums, custom castings, and forgings. Steel heats for carbon and alloy steels with weights up to 300 tons and iron heats up to 135 tons are routinely melted.WHEMCO’s four foundries produce heats for several product lines including: ingots, cast rolls, slag pots, coiler drums, custom castings, and forgings. Steel heats for carbon and alloy steels with weights up to 118 metric tons and iron heats up to 122 metric tons are routinely melted. Regardless of whether we are melting iron, carbon steel, or alloy steel, our melt practices and quality systems ensure accurate chemistry, unsurpassed cleanliness, and meeting or exceeding customer specifications. WHEMCO is supported by a world class metallurgical team, an extensive mold inventory, an experienced pattern shop, core making capabilities, and modern pneumatic sand handling equipment. Guided by advanced computer modeling, WHEMCO’s abilities as a turnkey producer of heavy steel castings and forgings are unparalleled. We draw on the knowledge of our skilled craftsmen and a variety of proven practices, including the use of indefinite chill molds, metal to metal direct chill molds, bottom pouring and a proprietary uphill teeming method.